Being a waffle-lover, I totally loved the variety of waffles this place has to offer. 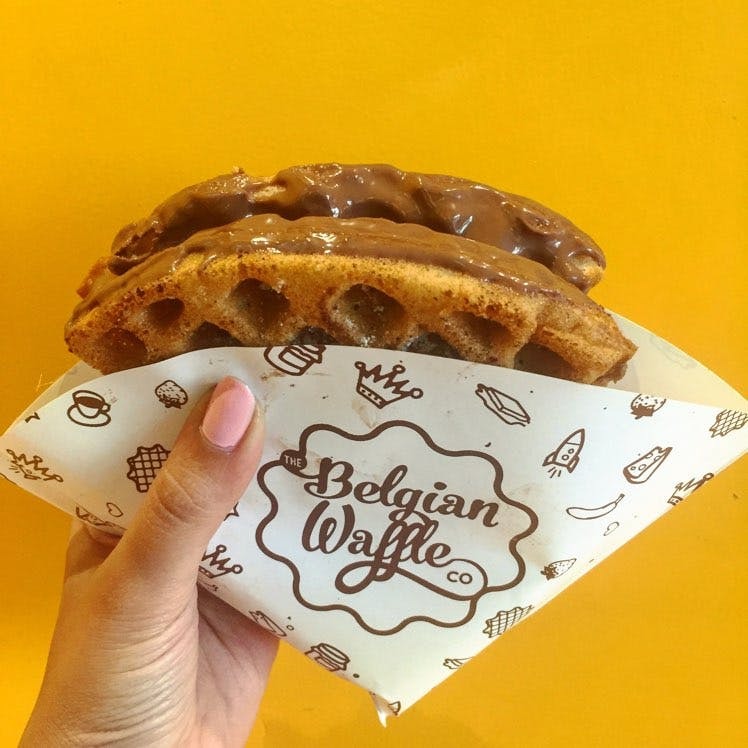 From the normal honey butter and maple butter to the utterly delicious strawberry cream cheese and naked Nutella, The Belgian Waffle Co. is the best place to binge on desserts at extremely pocket-friendly prices. Their outlets are very small. They could have better seating arrangements for waffle-lovers like me to enjoy my dessert to the fullest! To beat the heat, ditch their hot waffles for ice-cream waff-wich that'll instantly cool you down! With waffles starting at INR 100, I don't think you should dare to give this place a miss.